Buckle size approximately 3 1/2" x 2 5/8". Fits 1 1/2" wide belts. 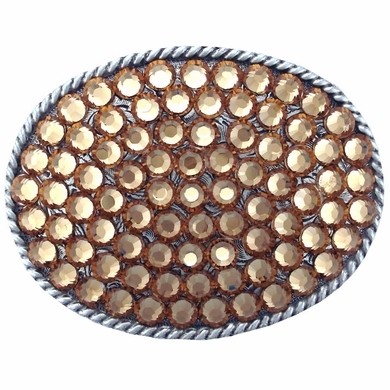 Antique Silver Plated Belt Buckle Covered with dazzling Lt Col Topaz Swarovski Rhinestone crystals.